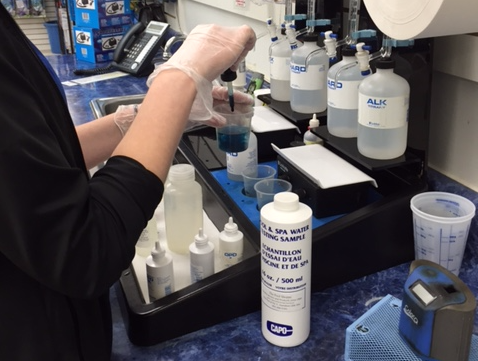 Our Water Lab is an essential component of what defines The Pool Shoppe’s commitment to excellent customer service. Our Water Technicians are trained to work with each customer individually and to handle results according to each sample’s specific condition. We pride ourselves on our computer filing system which contains seasonal history of our customer’s water test results. This system tracks water-testing results and allows us to see if there are trends or recurring patterns within seasons. We are excited to see so many returning faces year after year, which reaffirms the quality of recommendations that we believe we are providing. 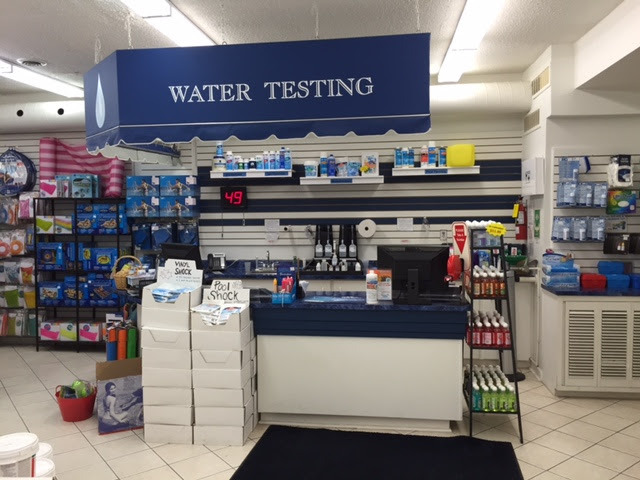 Visit our helpful staff at the Pool Shoppe for quality pool chemicals and test results while you wait. The Pool Shoppe’s professional chemical line-up includes our very own Aqua Guard label products and our Synergy Program which is complimented by specialty products from BioGuard, Lawrason’s and GLB. We rely on the effectiveness of our chemicals to maintain clear, safe and sparkling water and stock our shelves accordingly.